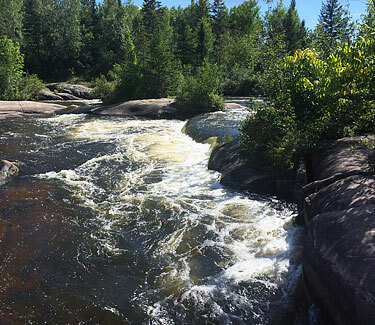 There are many Parks in and around Lac du Bonnet for your relaxation and enjoyment. Sparmen Park - Tennis anyone! Memorial Park - Play Structure, War memorial & play field. Leslie Park - Basketball, Flower Gardens, Walking trail. Lakeside Park - Riverview & Walk. Beach - Play Structures, Beach, Pier, Boat slips, River Walk, Fishing. Bridgeside Park - Fishing, Boat Launch, Picnics & Restrooms.